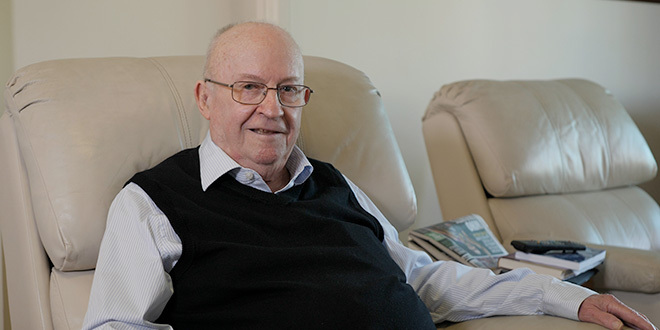 FR Ray Kearney’s death leaves a void in the lives of many people across Brisbane archdiocese. Fellow priests, parishioners and friends are all feeling the loss of a man whose deep concern and empathy for others was matched only by his love for the Church. Raymond Laurence Kearney was born on March 1, 1938, in Brisbane, the eldest of four children to parents Bill and Isabella Kearney. He had two brothers, Michael and Stanley (both deceased), and one sister, Patricia (Pat) Kearney, who is a twin with Stanley. The family lived in a house adjacent to the old Boggo Road jail at Annerley, with Mr Kearney working as a prison officer. Ray was educated at Mary Immaculate Primary School, Annerley, and then St Laurence’s College, South Brisbane. At the age of 14 his mother Isabella died, a traumatic part of his life, but one he was able to endure with the love and support of a wonderful dad, and the embrace of extended family. In addition to having a beautiful nature, which Ray inherited in large part, Bill Kearney was also a faith-filled man. That’s why it did not surprise when Ray entered Pius XII Seminary, Banyo, in 1956. 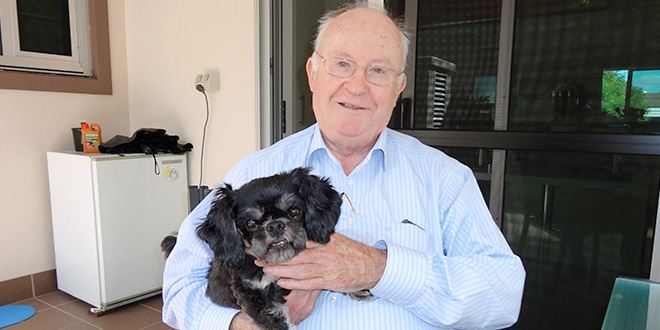 He was ordained for the priesthood on June 29, 1962, and was appointed to Mt Gravatt parish, a place which good friend and golfing rival Fr Bernie Gallagher recalled with equal affection. “Ray and I both shared our first posting at St Agnes’, Mt Gravatt, with Fr John ‘Jack’ Rosenskjar,” Fr Gallagher said. “Fr Rosenskjar was probably someone who had a bit to do with our formation because you had to learn a lot of new things when you left the seminary, or you did in those days. “Ray and I shared an admiration for ‘Jack’ Rosenskjar, who was a good priest to begin your priestly ministry with. “I always found Ray to be generous with his time. “If you needed any advice on anything Ray was the sort of bloke you could go to and talk to. “I’m pretty sure he said to me on one occasion, ‘if someone asks you to do something for them, just do it’. It was at the southside parish that the young curate would also meet lifelong friend Peter Toohey and his wife Lorraine. Their friendship, which started at age 25, lasted 55 years and continued into retirement with the married couple and Ray enjoying weekly lunches and the joint celebration of their 80th birthday earlier this year. “I was about to get married, and Lorraine’s parish priest said to me to get a statement from my parish priest that all was okay for me to marry in a church,” Mr Toohey said. “So I went down there to get the form signed, knocked on the door and out came the new curate who had just arrived, and it was Ray Kearney. “We met then and we’ve been very close friends ever since, even to the point of him coming on holidays with us, where he taught all our boys to body surf, through to fishing trips and, to our cost, card nights. “Ray loved cards and the Tooheys used to have a family card game. “Much to his disgust we still used two and five-cent pieces until he came along and said ‘you can‘t play with two cents and five cents’. “He jacked us up to 10 cents which was a great economic shock to us,” Mr Toohey said. After two years in the parish, Fr Kearney was asked to join the staff at the Pius XII Seminary, where he taught philosophy prior to leaving for Rome and further study. He then spent four years at the Gregorian University and developed, as close friend and chair of the Catholic Education Council Dr Mark Sayers said, “a romanitas”. “The most influential experience of his life was his years in Rome,” Dr Sayers said. “He revelled in both its unfamiliar beauty and the familiar companionship of old mates, like Archbishop John Bathersby, who were also postgraduate students in Rome at the time. “He was an excellent, self-taught Italian cook – specialising in Milanese and Roman recipes. “He always looked so at home and at ease in Rome; so understanding of the culture; so immersed in its way of life; and so nuanced in how he kept its spirit alive with him when back home in Brisbane. “While studying in Rome, he had been head-hunted and approached to be what he called ‘a typewriter pusher’ for a cardinal in one of the congregations. “Ray’s love for the life of a pastor meant he happily declined the offer, albeit with the occasional wistfulness that his puttanesca might have been perfected more quickly if he’d been able to practise it while living in Rome,” Dr Sayers said. Fr Kearney resumed a pastoral role with postings to Ipswich in 1977, Darra-Jindalee in 1982 and then, in his first appointment as parish priest, at Booval in 1983. He was to remain there for 17 years, and with that milestone also came innovation. Pauline Peters had already been prominent in the life of the archdiocese, even heading the Archdiocesan Pastoral Council for a time under Archbishop Francis Rush, but Fr Kearney broke new ground by appointing her the first ever diocesan lay pastoral associate in 1991. Mrs Peters remembers him as a servant leader with a big heart. “I was fortunate to work with Fr Ray for 14 years as pastoral associate,” Mrs Peters said. “He was a great mentor and a pastor and friend to many. She laughed at recalling how she was hired. “One day I came home from work teaching and my sons said ‘Fr Kearney was here and he wants to see you’,” she said. “I thought he must want me to give a talk at the parish about pastoral councils, so I rang the secretary and arranged to see him. “The kids thought it hilarious, but I said ’you didn’t even offer him a lemonade’. “When we caught up I asked if he wanted me to give a talk but he said ‘no, I want you to be my pastoral associate; we’ve just built the new parish centre and things are happening’. “It was a big change from my teaching role so I spent some time on retreat with my husband Graeme, discussing it. “Given I was really passionate about women doing something in the Church we decided to take the chance. During his time at Booval Fr Kearney came into possession of a young pup named Yinny. The two were inseparable, and Yinny became part of parish life, quietly following Fr Ray up the aisle for Masses. With a transfer to Sunnybank parish in 2001, a new group of parishioners quickly came to take the pair into their hearts. They could attest to a dog so well behaved and attuned to the Mass that he would sit quietly by the presider’s chair and arise at precisely the right time when Fr Ray rose for the final blessing. After Yinny’s death, a second dog, Ching, was equally adored. One of the joys of Fr Ray’s retirement was the arrival of the type of pope he never expected to see. As Mr Toohey said, much of Pope Francis’ pontificate mirrored his own views of the Church. “Fr Ray was a really pastoral guy, there wasn’t a skerrick of clericalism about him,” he said. “You know the bit the Pope says about bishops – ‘you’ve got smell like the sheep’ – he sure had that. “If you talk to any of his parishioners he was a very gentle man and he had great empathy with people. “I noticed over the years he mentored many people, young priests and young people, and he was still that way in retirement. “People would come and see him and he had a very gentle way about him. “Therese, the lady who cleaned for him at South Brisbane, said to me one day ‘I think of him as my father’. 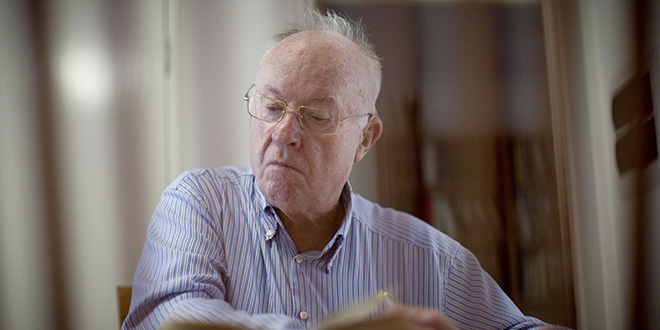 In years where the Church has again been rocked by many tempests, Fr Ray remained steadfast. Dr Sayers said Fr Kearney had an unwavering conviction in the providence of God. “When things happened that might reasonably erode confidence in the Church as an institution or confidence in priests, Ray would always say ‘Never let them take away your love of the Church’,” Dr Sayers said. “Also in that context, the hallmark of Ray’s pastoral approach was the prudential use of the internal forum. “He derived long-lasting, deep-felt joy from finding ways, with the help of the bishops he worked with, to bring people back to sharing in communion at Eucharist. “Ray always described Sunday lunch as a foretaste of the kingdom of heaven when, after death, we all share at the table of the Lord. “In his last months, faced with the reality of terminal illness, and confronted by the prospect of pain and loss, Ray would confront that prospect with his faith in going back home to God. Fr Kearney is survived by his sister Patricia and several nephews and nieces. The funeral Mass for Fr Kearney was held at 10am on Tuesday, November 6, in St Stephenís Cathedral.